One of the most important parts of planning an adventure is to decide what to pack for your family. 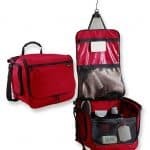 Whether you travel by plane, train or minivan, it’s important to have the right gear that enhances, simplifies, and documents your trip the best possible way. Over the years, we’ve been able to figure out what has worked for us and what hasn’t. Some items are more essential than others, depending on what type of adventure and also how old your kids are when you travel. Below is a list of items that we think have helped us more than anything else along the way. Hopefully they can be helpful to you as well (or can spark ideas of what you really need). Many of the links below are affiliate links. That means we get a small kickback if you end up purchasing them through the links. That helps us continue to be able to provide free content. All of our affiliate links are products or services that we have personally used and love (and would recommend to our own moms). Best purchase ever made. I mean ever. In fact we have 3 of them we love them so much. 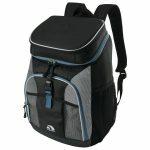 Backpack coolers work great at places like Walt Disney World and Universal Studios, zoos, picnics, kids’ sporting events. We use backpack coolers all the time! They fit great in between seats in our minivan and take them wherever we go basically. We have 2 of them from PicnicTime we purchased through Amazon years ago, but they don’t look to be available anymore. This summer, when we arrived in Orlando and realized we had forgot our backpack cooler, we made a run to the store and found one made by Igloo. If you ask my wife, this is probably the greatest thing I have ever bought for her (except for those rings of course). LL Bean offers a few different size options. I went with the medium at first, but we decided the Family size was best for our, well, family. Well worth the money. Everyone needs a portable battery charger when traveling, especially with kids and their various electronics (look at me look down on kids for electronic use as I write this from mine). There are tons of batteries to choose from of various sizes and price points, but here are 2 that we’ve purchased and are quite pleased with. At theme parks like Universal Studios, it helps to have each person wear a lanyard. You can use them to hold tickets, especially if they have Express Passes that need to kept accessible. We got inexpensive colored ones for the kids and waterproof ones for my wife and I so we could store our phones on water rides. They don’t lie when they say YOU WILL GET WET! Our kids love to wear goggles when they go swimming, but the ones we’ve bought at places like Walmart and Target never seem to hold up very long. These ones below have held up much longer for us and are easier to adjust. I absolutely hate having one of these, but depending how far away your condo or hotel is from the ocean, it sure comes in handy. It also depends on how many beach toys, towels, umbrellas, and chairs your family wants to bring to the beach on whether this is a good investment. It beats listening to my kids complain about carrying a boogie board more than 100 feet! We went to the Outer Banks with people who had these. We’ve never been on a beach vacation since and not brought them with us. Plus, at least for us, they fit in our van’s Stow-N-Go area so that’s definitely a plus. We love to document our trips as much as possible. With that, sometimes cell phone photos just don’t do the job. Here is some camera gear that we’ve found invaluable over the years as we’ve been able to capture some great moments, scenery, and family portraits along the way. You don’t need to break the bank, but a simple tripod helps immensely if you are looking to take family portraits on your trip. I have this bag and love it. Enough pockets to store all my accessories and more. This is a newer model of the camera we use. If you look on Amazon now, they offer tons of camera packages, like the one below, that give you a ton of extra accessories (and a smaller camera bag). These packages are a great deal and give you a lot of options. If you aren’t a professional photographer, you don’t need to always have the latest and greatest gear. What is included in this deal works just fine.